Registration for this year’s Lowcountry Pie Getaway in beautiful Charleston, South Carolina is officially open. This will be our third such Getaway. In case you’re new to The Pie Academy and you’ve not seen the previous write ups here, the Lowcountry Pie Getaway is your chance to meet, mingle, and bake alongside other passionate pie makers from across the country. For many, the Getaway has been the elusive link between their pie making aspirations and the pies of their dreams. It doesn’t matter if you’re a novice or experienced pie maker: all are welcome. The instruction is personal and geared to your level. It’s hands on, too. You’ll measure, mix, and dive into your work. You’ll create, bake, and get to sample your – and your classmates’ – creations. 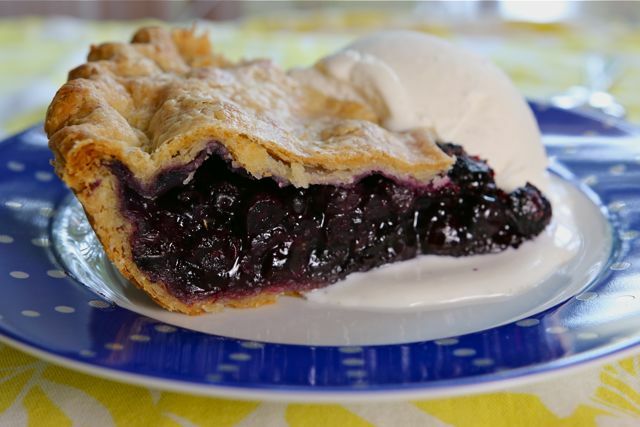 Your pie making confidence and skills will take a giant leap forward. I hope you’ll join us for this one-of-a-kind pie experience. Here are some of the particulars. Once again we’re holding the Getaway in Charleston, South Carolina. The reasons are many, but in the end it came down to this: Charleston is one of the most beautiful and unique cities in the country. It casts a spell on visitors; people simply love coming here. And we have an absolutely fabulous kitchen at our disposal for the weekend, a studio kitchen owned by our friend chef Bob Waggoner. Chef Bob’s kitchen is centrally located – tourists stroll and horse drawn carriages go clip-clopping by all day long – and there’s ample work space and ovens for all of us. You won’t be disappointed. The address of our kitchen will come in handy when you start looking for accommodations: 164-A Market Street, Charleston, SC 29401. This is our third Getaway, so we’ve had a couple of years to work out the kinks, streamline the schedule, and figure out how to give you the best possible experience. So here, more-or-less, is what you can expect. Special Welcome Reception – Pick up your Pie Getaway Swag Bag at our host venue. Meet your fellow pie makers, enjoy beverages and apps. 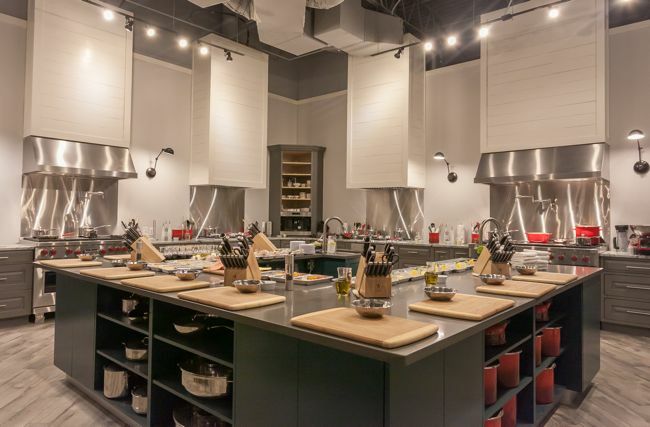 Take a tour of our host kitchen and learn more about what’s in store for you over the weekend. –Saturday morning. We begin the weekend with a crash course in pie crusts. 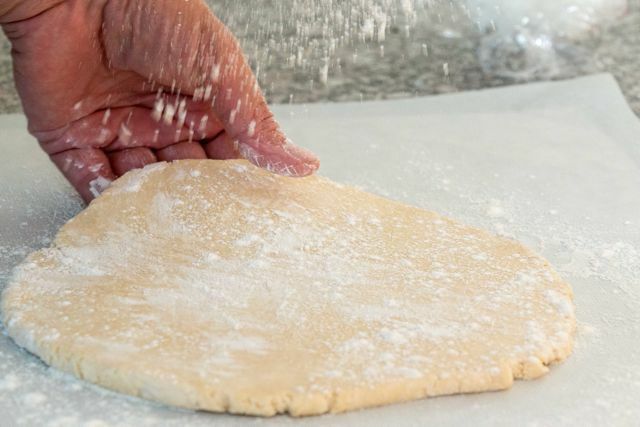 We’ll make dough with a variety of fats – butter, Crisco, lard – and by various means including the hand method, food processor, and KitchenAid mixer. You’ll learn how different fats impact the mixing, handling, and flavor of your pie crust. It’s all about the crust, all morning, and by the time we’re done you’ll be a pie crust dynamo. –Saturday afternoon. Time to turn on the ovens, collect your ingredients, and design a custom fruit pie. 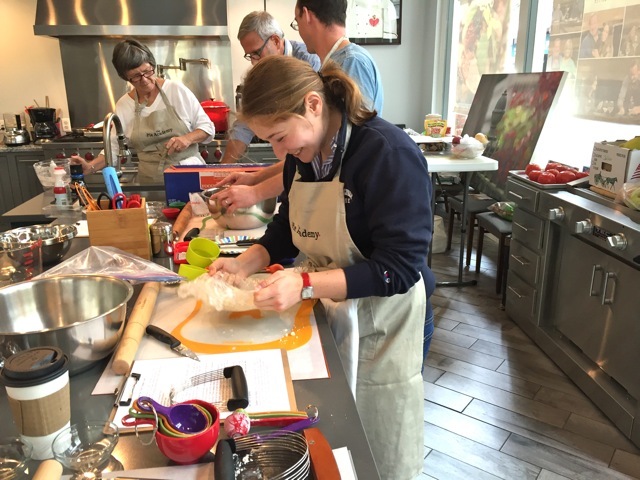 Working with a variety of fall fruits, spices, and add-ins, each participant will roll their own dough, get it in the pan and bake a signature pie. We’ll serve the pies on Sunday, after dinner, at our Pie & Ice Cream Social. –Other Saturday mini sessions will include an overview of the must-have tools for pie makers; a discussion of The Best Ways to Roll Your Dough Without Having a Meltdown; and Cracking the Mystery of the Perfectly Prebaked Pie Shell. –Sunday morning. Today we celebrate and prepare dinner pies (in addition to some dessert pies.) Working with a baking partner, we’ll prepare a variety of quiches, savory galettes, slab pies and hand pies. You’ll work up a sharp appetite this morning, so when these pies come out of the oven around lunchtime, you’ll be good and ready to sample the fare. Sunday morning’s savory session was one of the highlights of last year’s Getaway. -Sunday afternoon. We’ll cap off our Lowcountry Pie Getaway with a class on mini fruit pies and chess pies, including turnovers and other small pies baked in individual pie tins. You’ll have a chance to make and bake one or more mini pies, followed by a session on presentation ideas for small gift pies. 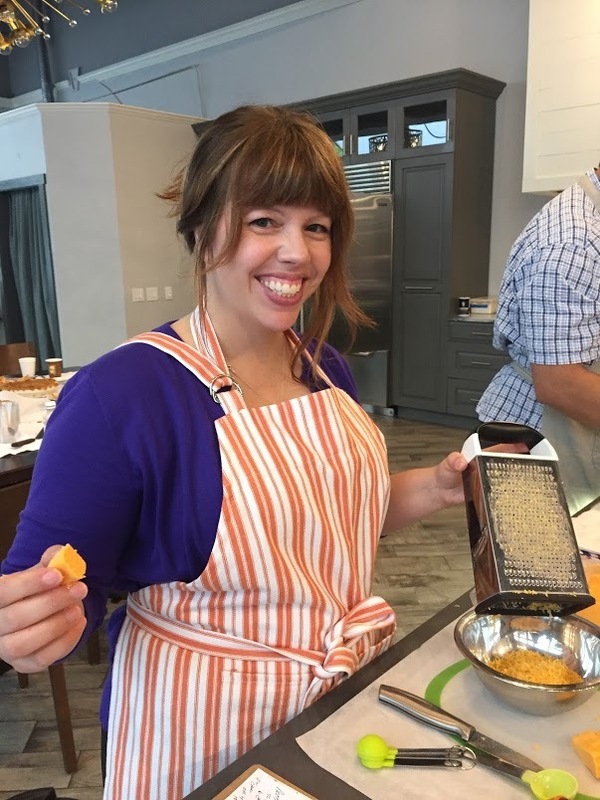 –Other Sunday mini sessions will include the secrets to making a perfect quiche crust; a discussion of the best individual pie pans for home bakers; and Slab Pies 101. –Sunday evening. Special Lowcountry Send-Off Dinner prepared by our guest chef (to be announced), followed by our Pie & Ice Cream Social. 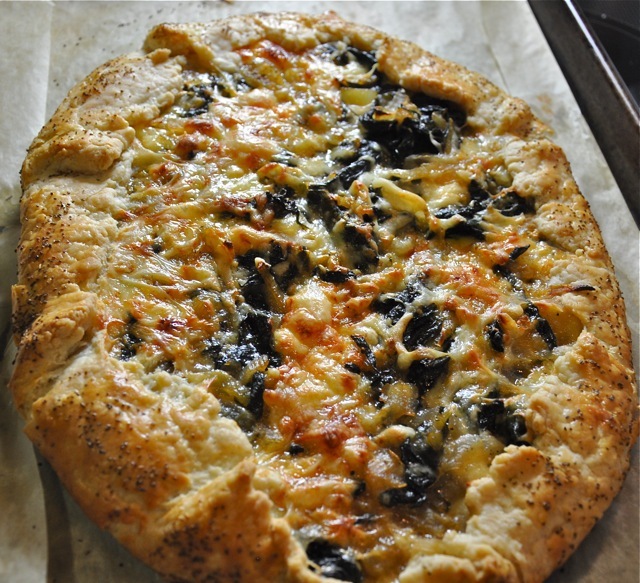 Savory pastries, like this Swiss chard galette, were one of the weekend’s highlights. Charleston offers a myriad of choices for lodging, from higher end hotels to historic inns and airbnb type rentals. Not everyone has the same taste or budget, so we think it’s best to leave the accommodations in your hands. That said, if you’d like to share a room – and split the cost – with another Pie Getaway attendee, we’ll happily put you in touch if someone else has the same desire. 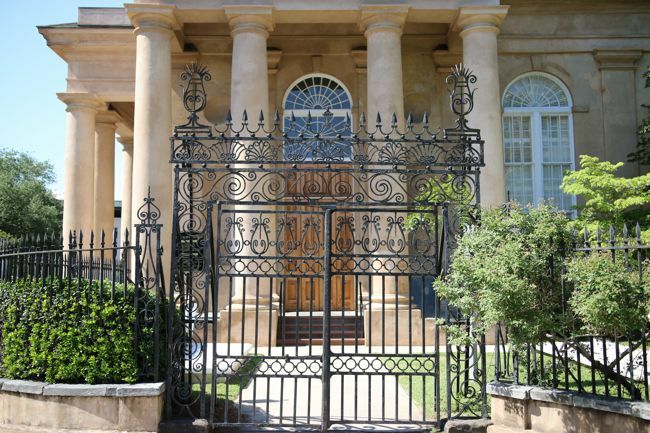 In addition to downtown Charleston, there are options in nearby Mt. Pleasant, a short drive away. If you do stay there, you’ll probably want a rental car. 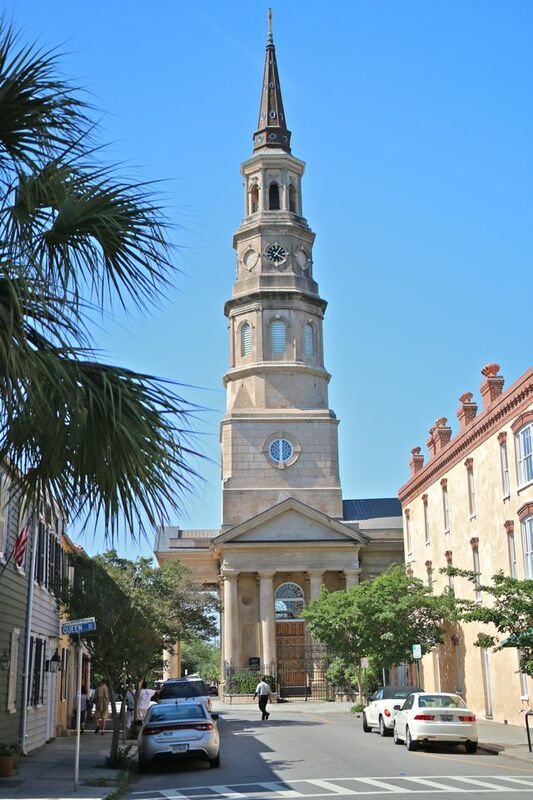 If you’d like some suggestions about places to stay in Charleston, please let us know. My wife, Bev, lived in Charleston for 25 years and she’ll be happy to help you plan your trip and suggest accommodations that fit your budget. The 2016 Lowcountry Pie Getaway includes a great package of instruction and extras – see below – but neither transportation (or accommodations) are included. If you’re flying, you’ll land at Charleston International Airport, typically a 20 to 25 minute ride to downtown. If you’re not renting a car, just take a cab. If you’re staying downtown and don’t plan to explore outside Charleston, you probably don’t need to rent a car. Charleston is quite walkable, but bring comfortable walking shoes because you’ll be on your feet a lot and there are many cobblestone streets. –Special Welcome Reception at our host kitchen, where you’ll meet your fellow pie bakers and receive your Pie Getaway Swag Bag full of great gifts. Apps and beverages will be served. 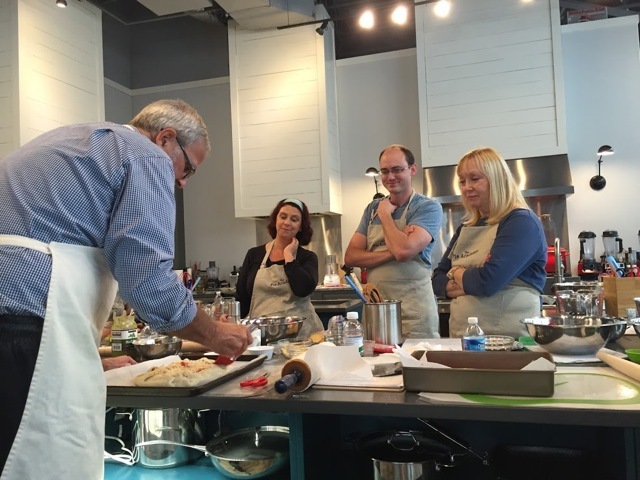 –Two hands-on, fun-filled, instruction-packed days of pie making with your host, Ken Haedrich, Dean of The Pie Academy and Julia Child Cookbook Award Winner. –All of your ingredients for a weekend of pie making. –Your own pie plate to take home. –Continental buffet=style breakfast on Saturday and Sunday, served in our host facility. –Saturday and Sunday lunch featuring recipes from several of Ken’s cookbooks. Early Bird Special Price, if you book by June 12th, 2016 – $995. Regular Getaway Price after June 12th, 2016 – $1,150. Send an email to bev@thepieacademy.com and request a Lowcountry Pie Getaway registration form. Fill it out and email or mail it back to us. After you return your completed registration form we will email you a PayPal invoice so you can pay by credit card. You may also pay by check; you’ll find the details on the registration form. If you have any questions at all, about the event itself or the registration process, please contact Bev – bev@thepieacademy.com. Be sure to include your phone number so we can contact you by phone, if necessary. Last year’s Getaway in Charleston was a huge success, and we’re so grateful that we’re able to use the same city and facility that our members raved about. We expect this year’s event to be every bit as successful. But please, if you’re serious about joining us, don’t wait too long to sign up. We already know that some of last year’s attendees will be returning again this year and, as large as our host kitchen is, we still have to limit attendance to keep the experience intimate and the instruction personal. When all the slots are accounted for, registration will close down abruptly. We hope to see you there. Again – feel free to contact us with any questions.